Ok, I’m going crazy with crocheting. 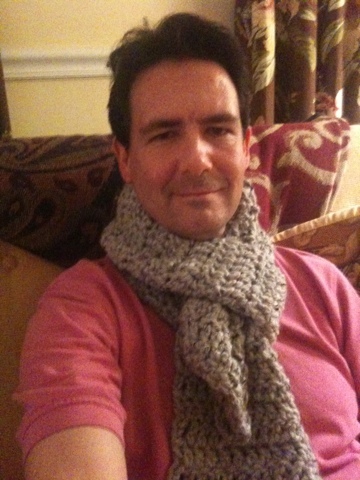 I made this huge scarf in just about 4 hours. 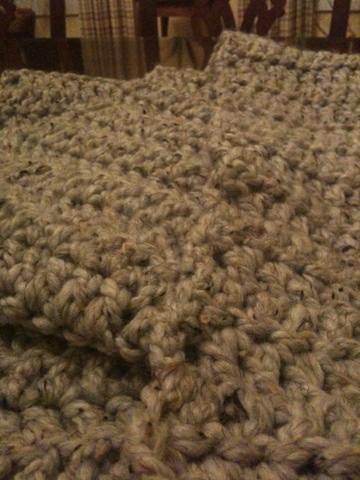 I used Lion Brand wool-ease thick and quick yarn #154 grey marble and a N 10mm crochet hook. 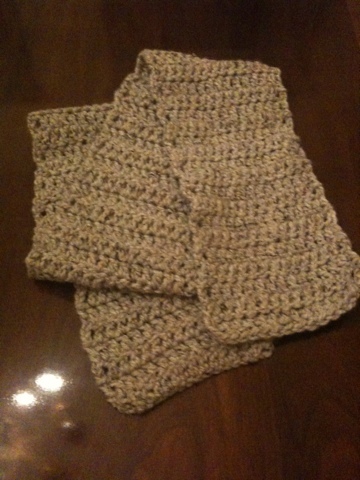 I used a simple double crochet stitch for the whole scarf.